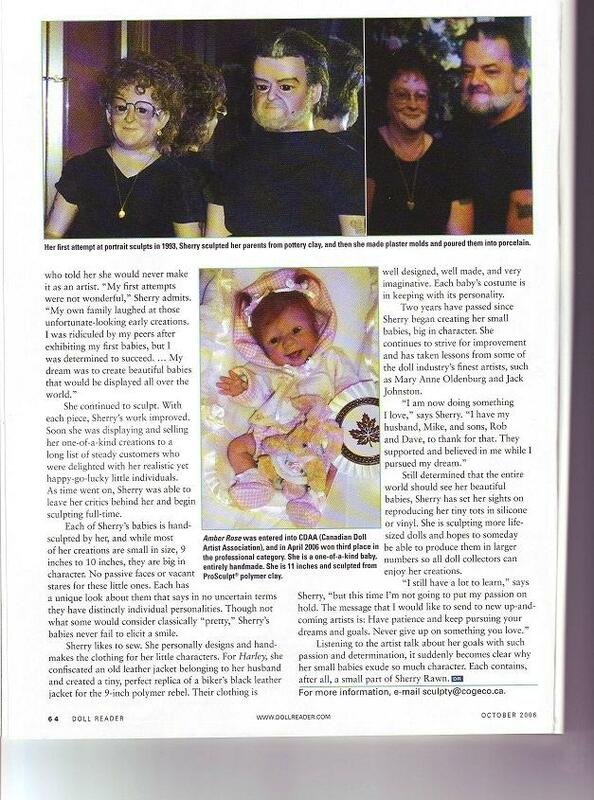 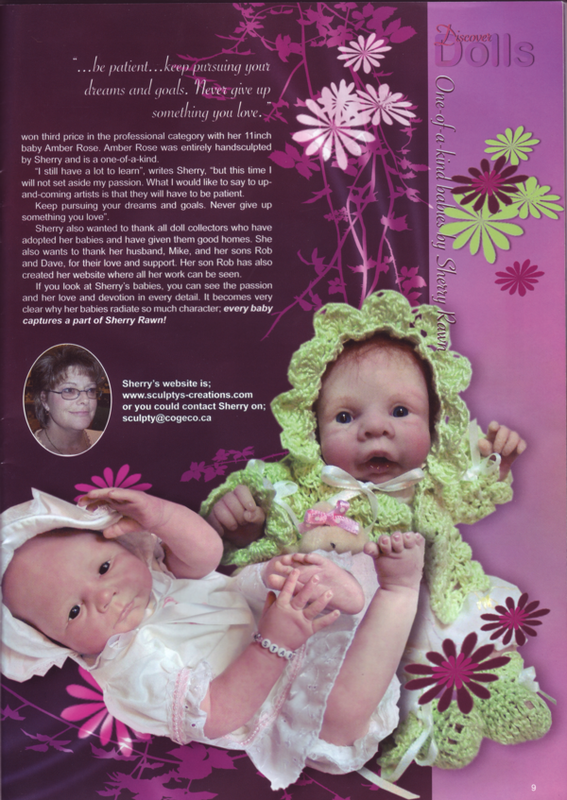 I had an article written about my dolls in discover dolls magazine, below are the actual article pages, if you would like to read it click the images below. 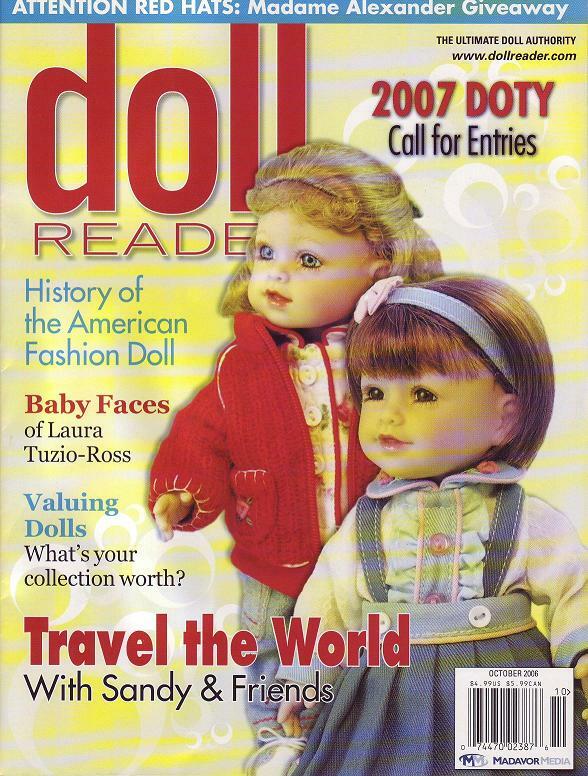 I had an article written about my dolls in doll reader magazine, below are the actual article pages, if you would like to read it click the images below. 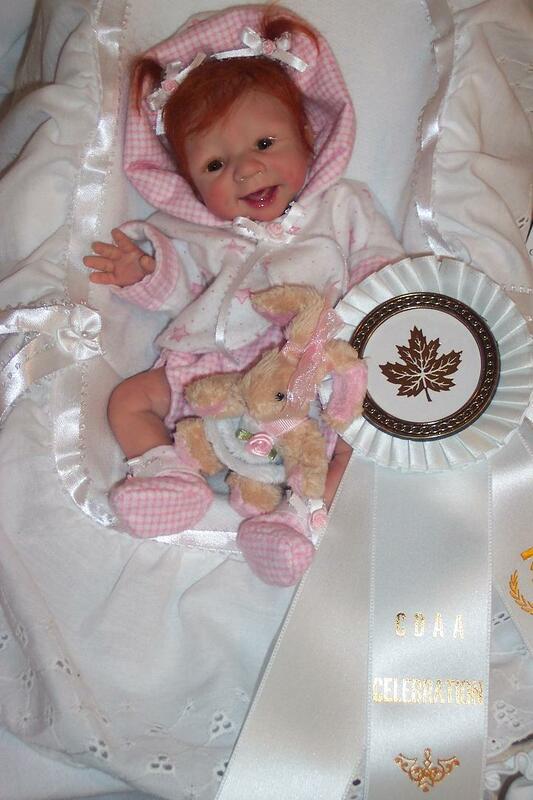 Amber Rose was entered into the CDAA (Canadian Doll Artist Association), and in April 2006 won third place in the professional category. 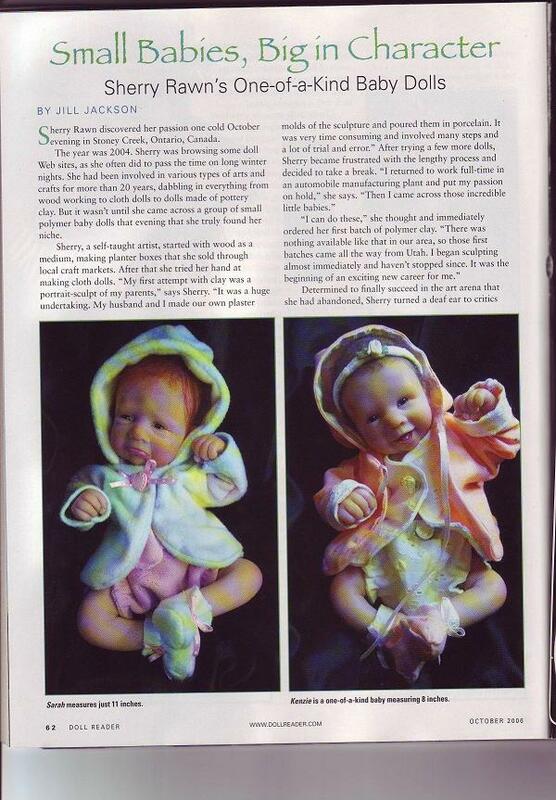 She is a one-of-a-kind baby, entirely handmade. 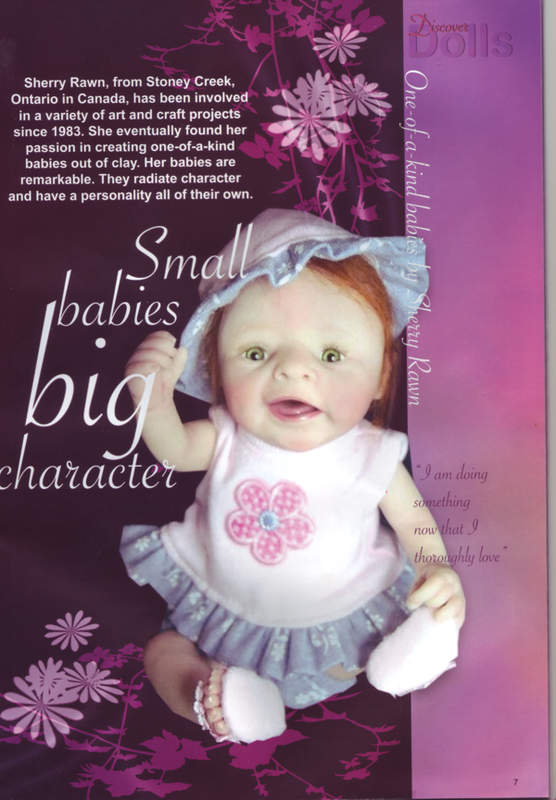 She is 11 inches and sculpted from ProSculpt polymer clay.